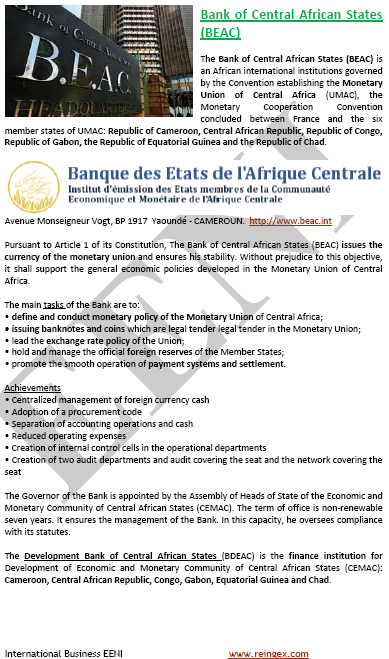 Syllabus of the Online Course (Subject): Central African Economic and Monetary Community (CEMAC). Economic Profile of the CEMAC region: Cameroon, the Republic of Congo, Gabon, Equatorial Guinea, the Central African Republic, and Chad. Description of the Online Course: Central African Economic and Monetary Community (CEMAC). The Economic and Monetary Community of the Central African States (CEMAC) includes six Central African Countries: Cameroon, the Republic of Congo, Gabon, Equatorial Guinea, the Central African Republic, and Chad. The main objective of the Central African Economic and Monetary Community (CEMAC) is to promote the harmonious development of the Member States in the context of the establishment of a true CEMAC Common Market (free movement of persons, goods, capital, and services) by establishing an economic and monetary union. 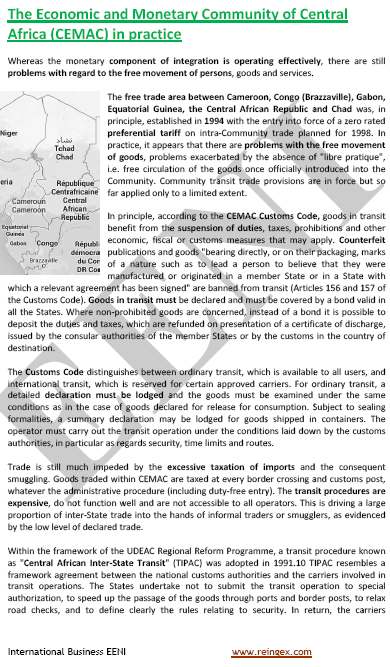 The monetary integration in the region of the Central African Economic and Monetary Community (CEMAC) is fully effective, although there are some obstacles to the free movement of people, goods, and services. The Central African Economic and Monetary Community (CEMAC) belongs to the Central African Economic Area (African Civilisation). The Bank of Central African States (BEAC) is an African international institution governed by the Convention establishing the Monetary Union of Central Africa (UMAC), the Monetary Cooperation Convention concluded between France and the six Member States of the UMAC: Republic of Cameroon, the Central African Republic, the Republic of the Congo, the Republic of Gabon, the Republic of Equatorial Guinea, and the Republic of Chad. 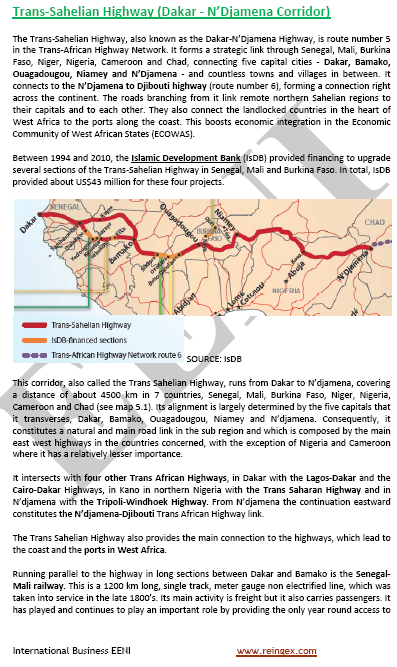 The Development Bank of Central African States (BDEAC) is the finance institution for the development of the Economic and Monetary Community of the Central African States (CEMAC): Cameroon, the Central African Republic, Congo, Gabon, Equatorial Guinea, and Chad.